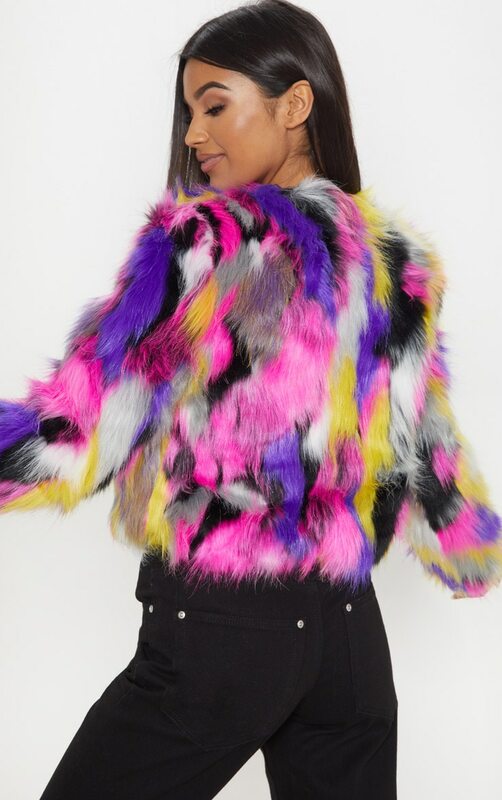 Omg we are in dream land with this faux fur jacket. 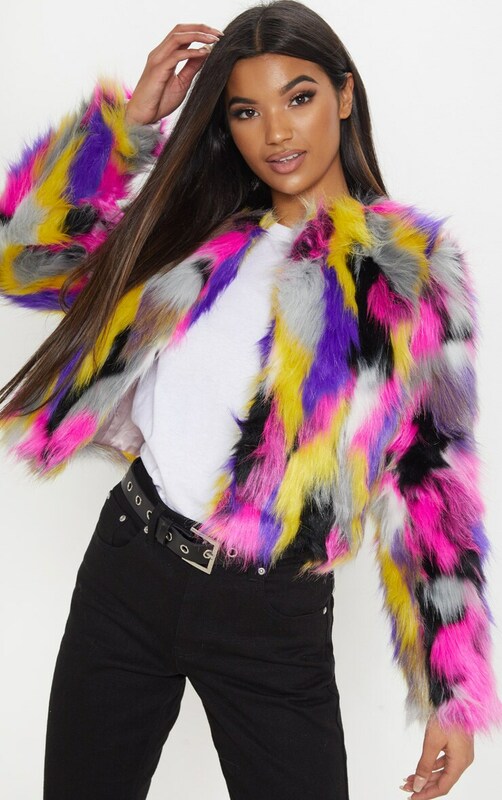 Featuring multi colour design in super soft faux fur. Its an absolute must have piece this season and with look killer teamed with you ultimate festival outfit!